This is fantastic news — the guide looks terrific! 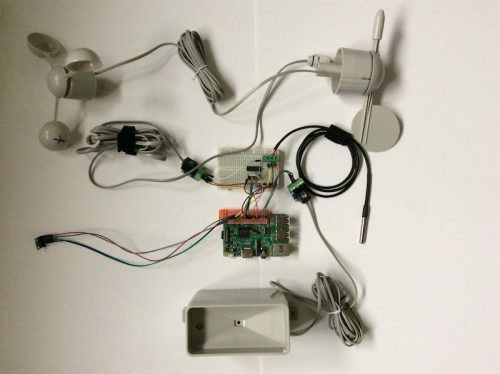 Getting the weather station kit out as a full-fledged, generally available product has been at the top of my wish list since the original appeared, but what you’ve done here is a very acceptable alternative (although I would still like to see an updated version of the weather station HAT put out there). Kudos to everyone involved with this project! 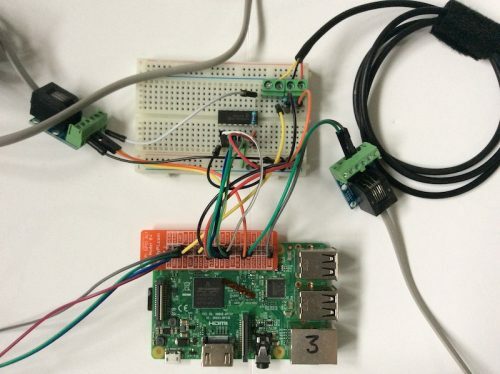 I would like to share the working I am doing with the Raspberry’s Weather station. It is about how to extend the station so we can install more sensors or replace the current ones. I had a problem with the soil temperature which is connected to the station by a short wire and I would like to install the station on the top of my school. Increase the length was not an option due to interference/resistence. Also, I would like to measure UV, river level, etc. I extended the station by turning it into an access point (using an USB-Wireless adapter) and by developing wireless modules based on the microcontroller ESP8266. I wrote a short article and I could write it in a more appropriated format if this work is useful to the community. A brilliant evolution of this project which will further enhance the skill and knowledge of those people who will participate in the construction of a more flexible and versatile version. You’ve replaced a couple of the parts compared to the official weather station, but it’s not hard to hack the old code for the new station. I see you’ve abandoned the air quality sensor and taken an upgrade from BMP180 to BME280 for temp and pressure. I’ll have a look at hacking your new code for the original station (since Clive sent me one as a reward for answering the questions in the Weather Station part of the forum). 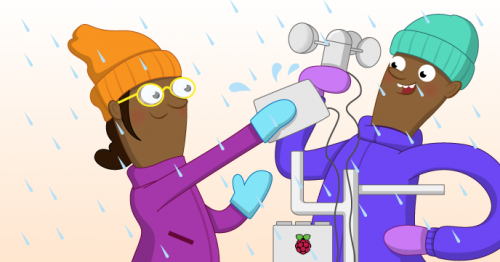 On the software side, you might use weewx, an open source weather station platform that runs quite well on a raspberry pi. It’s written in python so it makes it really easy to customize. I have mine running on an older 2B connected to a commercial weather station via USB and to a custom wireless thermometer via Wifi. This looks similar to https://pypi.org/project/pywws that has been running on my Pi B v1 (or v2 I can’t remember now) since 2013! Although the graphs do look a little ‘cleaner’ in weeWX. Great! I have a one of the Sparkfun Weather sensor kits lying around doing nothing. Reading the Guide now. What is the rationale for not publishing the circuit diagram for the original weather station hat? It’s not for sale to the public, so where is the harm? It seems to be rather against the spirit of open source, don’t you think? One of the options with weewx is to put the readings into a file and tell weewx to get it from there. So if you have some code that will read the sensors, you can do the read, put the readings into a suitably formatted file and tell weewx to read it at whatever interval works for you. I have read the tutorial, and managed to follow it through. My software runs and records for about 5 days then randomly stops recording. I wonder if for some reason the script is timing out? I wonder what the benefit of having the script constantly running is, rather than using Cron to record the results in the database automatically at intervals? Obviously the wind script will need to be constantly running to gather gust data, but I would have thought one script would be less taxing than two? I am just waiting for the waterproof boxes to arrive before I mount my equipment in the garden. It would be nice to see a tutorial about how to display the data on a website, but I realise you guys aren’t web designers but I’m sure someone in the community will be able to help. How much would it cost to build a weather station with most of the features like the acurite brand has? 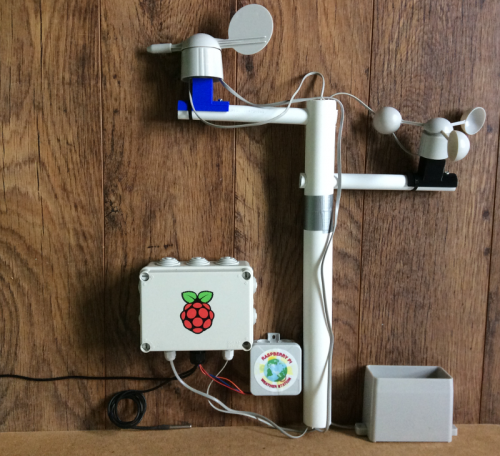 After reading few blog posts on https://www.weatherstationlab.com/, i’m considering to build my own weather station. Is that a good idea? There is a bug in the wiring diagram for the HAT in the “Assembling everything for the outdoors” section. 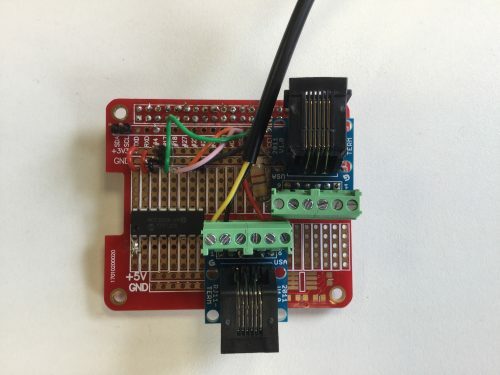 GPIO6 is pictured being wired to the same pin as GND and should be on the next pin. 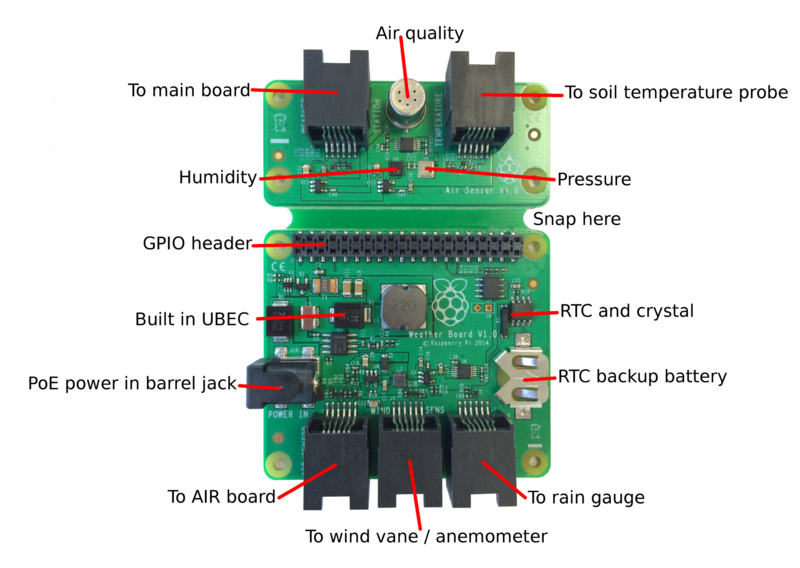 The summary complete wiring diagram shown at the beginning has GPIO6 wired correctly, but all of the following pictures are incorrect.